1. What links Rome and Birmingham? Well, Birmingham’s quality of life is on par with Rome’s with both cities placing at number 52 out of 440 cities featured on Mercer’s Quality of Life 2015 report. Factors that were taken into account to generate the rankings were aspects such as political, cultural and social environments. 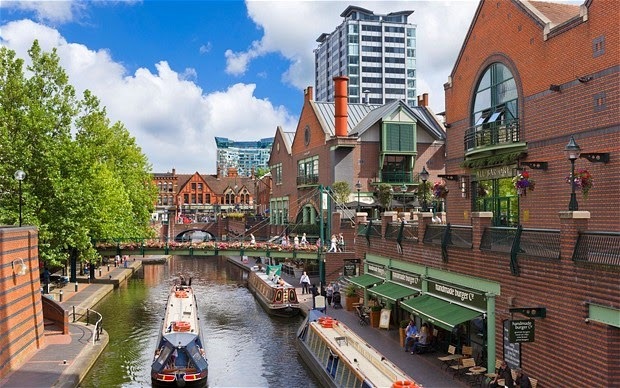 However, Birmingham edges it in terms of miles of canals when it is considered how its 18th century canal systems designed for trading, outstrips Venice’s at 56km of waterways. Read more here for full rankings. 2. There will be a greater sense of jubilation in the city with many anniversaries being celebrated in Birmingham including Birmingham Cathedral’s 300th Birthday and the renowned Rotunda’s 50th. Get those party poppers out! 3. In 2015, the party is at Resort World Birmingham which will be the UK’s first ever integrated destination leisure complex complete with an 11-screen cinema; an outlet shopping centre; an array of international cuisine options and a casino. 4. In 2014, the Birmingham Hippodrome was the highest attended single theatre in the UK and features all kinds of shows from musicals to drama to opera to comedians. Things to look forward to in 2015 include the likes of Shrek, Dirty Dancing and The Bodyguard. However, if concerts are more your thing, the Genting Arena and 02 Academy should be sure to hit the spot with musical acts this year including Take That and Fleetwood Mac. Birmingham’s music scene has clearly proven itself to be one to watch as previous bands which have made their breakout in Birmingham include UB40, Duran Duran and Black Sabbath. 5. Have a liking for the sparkly things in life? 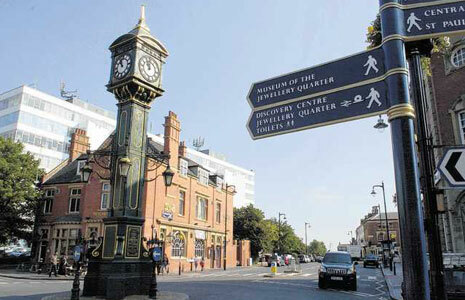 Well, Birmingham’s trendy Jewellery Quarter is still inhabited by over 500 jewellery firms and is full of heritage with it being a designated conservation area. Come here to check out some positive community spirit, historic architecture, some unique restaurants and a bit of bling! 6. Out of all UK locations, Birmingham was the only one to make it in Rough Guide’s Top 10 Destinations of 2015 where it was in the warm company of destinations such as Wellington and New Orleans. Factors that attributed to the awarding of this accolade were in relation to Birmingham’s impressive shopping, music and diverse cultural scenes. 7. 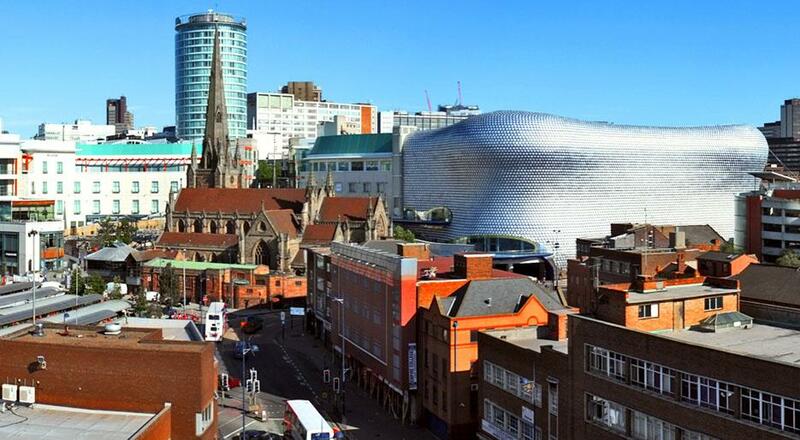 According to Site Selection’s (read here) “The Best to Invest List”, Birmingham was determined as the best UK city to invest in and the second best in Western Europe. This was determined by its success at attracting investment projects and considering all the developments that are happening, it is no surprise why these investments are sparking further ones such as the ambitious HS2 high-speed rail project. 8. If you are a chocoholic as well as a foodie then Birmingham is your new paradise. As well as the production of the nation’s favourite chocolate bar happening here, within Birmingham you can also find Bournville which was a community built by the Cadbury family for their chocolate factory workers. 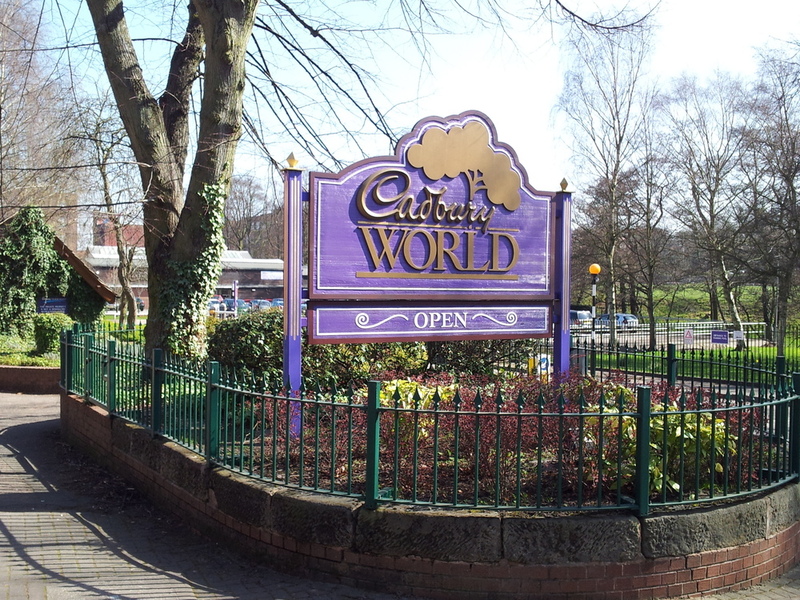 For all you extreme chocoholics, make sure to check out the Cadbury World Museum where all the chocolate fun and sugar comas are at. 9. The iconic Bullring is more than just iconic, it is also historic as it has been a market trading area since the Middle Ages. With the wide array of brands, restaurants and retailers it now boasts, it is an attraction that acts as a retail magnet for tourists the world over with its status as one of the UK’s largest shopping centres. 10. Exiting times lie ahead for you in Birmingham in 2015 if you are a sports fan with two Rugby World Cup matches being held in Birmingham as well as The Ashes. 11. Are you a foodie? 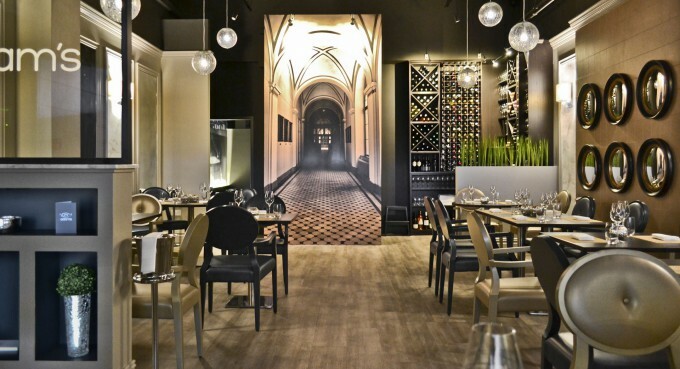 Well, after London, Birmingham has the greatest number of Michelin starred restaurants, such as Glynn Purnell, and its dining scene has been praised by many a national and international publication. Do not have a Michelin friendly wallet? Well, Birmingham also has an abundance of street foods covering a global range of cuisine. 12. Nature is in abundance because there are plenty of places to take a leisurely stroll with Birmingham having more parks than any other European destination and in Victoria Square, you can even find one of the largest water fountains in Europe. 13. Exciting developments are all around in 2015. For instance, in September, the New Street Station development will be complete with improved facilities; a new concourse and a shopping mall; the Grand Central Shopping Centre. The centre will feature 60 retailers and restaurants as well as the inclusion of a flagship John Lewis store. It has been claimed that the new centre will be a “world class transport, shopping and community hub”. Definitely one to watch! 15. 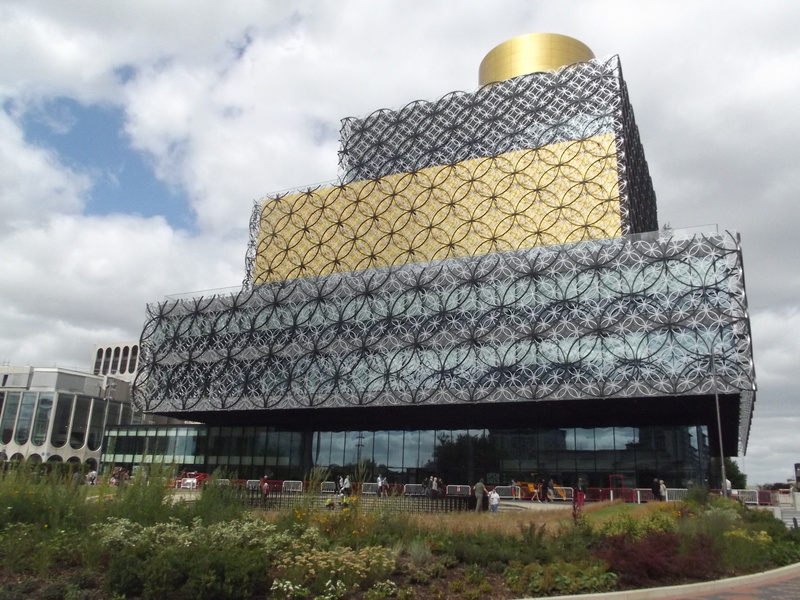 The Library of Birmingham was the only UK Visitor Attraction to be featured in the UK Top 10 Most Visited Visitor Attractions (as determined by the Association of Leading Visitor Attractions) that was not in London. Just look at this building for the reason why!. Therefore, I hope right now you are all plotting a getaway to Birmingham because with even bigger, future developments on the horizon, it is clear that Birmingham’s already impressive music, cultural, dining, shopping and transport scene are set to become even more attractive. If I have failed to convince you of this, watch this space and let Birmingham’s growth do the talking!